Weekend staffing levels affect the care patients receive at a Wigan hospital, an inquest has been told. Margaret Gleeson, 70, died on a Sunday at the Royal Albert Edward Infirmary - two days after a routine hernia operation in October 2015. Bolton Coroner's Court has heard her family ask whether reduced staff at weekends made the hospital "unsafe". When questioned about weekend staffing, the trust's Dr Sadasivam Loganathan agreed it was "a major concern". He said: "You don't give the same attention as the patient deserves." Dr Loganathan, a consultant general emergency and colorectal surgeon, said the situation was similar at "lots of organisations in the NHS at the moment". 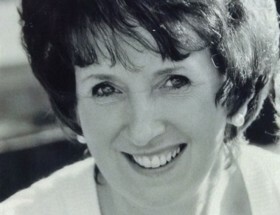 The inquest has heard that medics believed Mrs Gleeson's operation had been a success, but it was later discovered that internal tissue had been torn during the procedure. Mrs Gleeson's daughter, Julie Barnes, has told the inquest one of the family's questions is whether reduced staffing levels at weekend have made the hospital "unsafe".